Other issues (alleged failures to consult, and to adhere to the public sector equality duty) were discussed in my previous post and were determined by the CA along the lines of the decision below. I shall concentrate on the interesting questions raised by the potential clash between European environmental obligations and the way in which infrastructure projects can be put through Parliament – and the point which divided the judges. The SEA Directive requires that all “plans and programmes” likely to have a significant effect on the environment needed assessing: Art.3(1). “Plans or programmes” are those subject to preparation and/or adoption by an authority or which were prepared by an authority for adoption through a legislative process – and which were required by “administrative provisions” – Art.2(a). An assessment was required for all plans or programmes in certain sectors (including rail projects) where they “set the framework for future development consent of projects…”: Art.3(2)(a). The meaning of this last phrase divided the CA – did the DNS put before Parliament set the framework for a future development consent? Note “influence”, not “conclusively determine” the parameters of the project or whether it obtains consent. since it constitutes a ‘plan’ or ‘programme’ within the meaning of Article 2(a) of the latter directive and contains measures compliance with which is a requirement for issue of the consent that may be granted for carrying out projects. The challengers argued that the DNS “sets the framework” for the grant of development consent for HS2 by Parliament. It will shape and influence both the contents of the hybrid bills and the consideration by Parliament of whether to grant development consent, and if so in what form (ie what route etc). In all likelihood, it will shape the project as it proceeds through Parliament, since it is unlikely that Parliament will abandon the form of the DNS proposals. 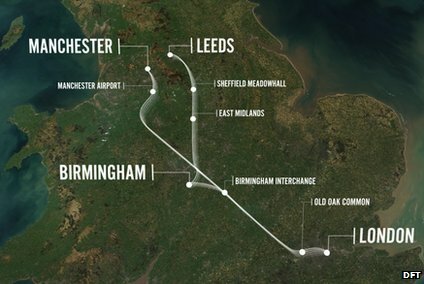 Given all-party support for HS2 and the fact that the debate in Parliament will be the subject of a three-line whip, even if as a matter of strict constitutional principle the development control decision will be a matter for Parliament’s unfettered discretion, the DNS will at the very least influence or guide the decision. Hence, they thought that the DNS will have no legal influence on Parliament. Parliament (as a matter of constitutional principle) would be free to give whatever weight it chooses to the views expressed in the DNS. They added that there was sufficient guidance in the CJEU case law as to the meaning of the phrase. A familiar pragmatic reluctance lurks beneath the majority’s unwillingness to seek the views of the CJEU on this point. Here we have a massive infrastructure project which it is firm Government policy to press on with. Reference to the CJEU about the meaning of the phrase would take time (over a year) and would elicit an answer to the abstract point – but not necessarily to the question before the CA. So the answer would then have to be debated before the CA again. Delay all round. That all said, I find Sullivan LJ’s answer compelling. Once government policy in the DNS was settled on HS2, it is unrealistic to suggest that that decision would not influence the terms of the hybrid bill or the debates in Parliament – and inconsistent with the breadth of the SEA Directive to insist on legal influence before its obligations cut in.